Christmas is a magical time for every family. For over a decade, families and friends have made Seasons a tradition to kick off the holidays. It’s a shopping extravaganza with over 300 exhibitors featuring everything for holiday decorating, entertaining and gifting. Visitors will also be treated to an exciting schedule of guest appearances by popular TV celebrities and experts offering innovative and inspiring tips, advice and ideas as well as “How to Workshops” and of course sampling of fabulous holiday treats! 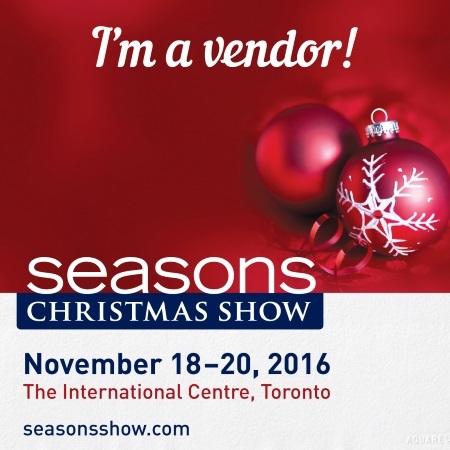 Start your holidays with visiting Seasons Christmas Show and come visit us at booth 632!